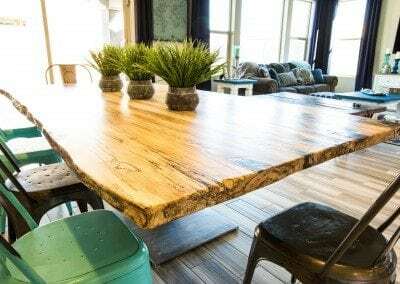 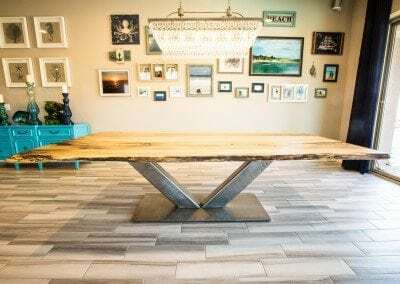 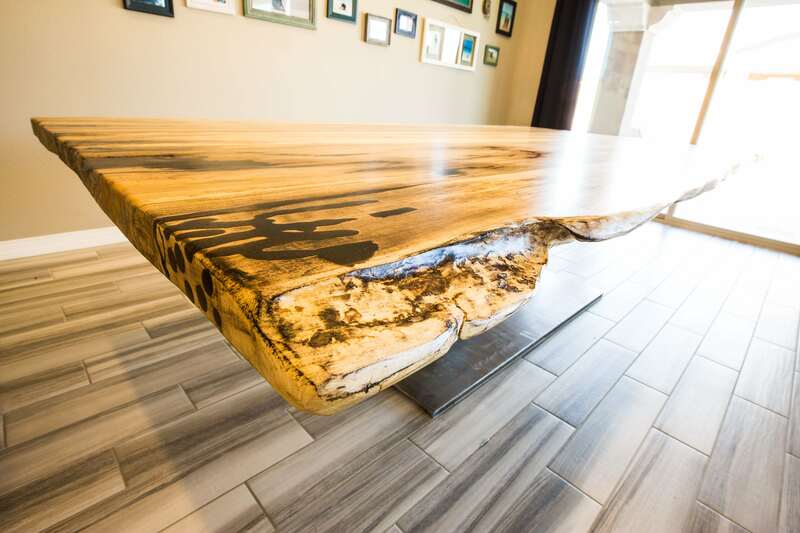 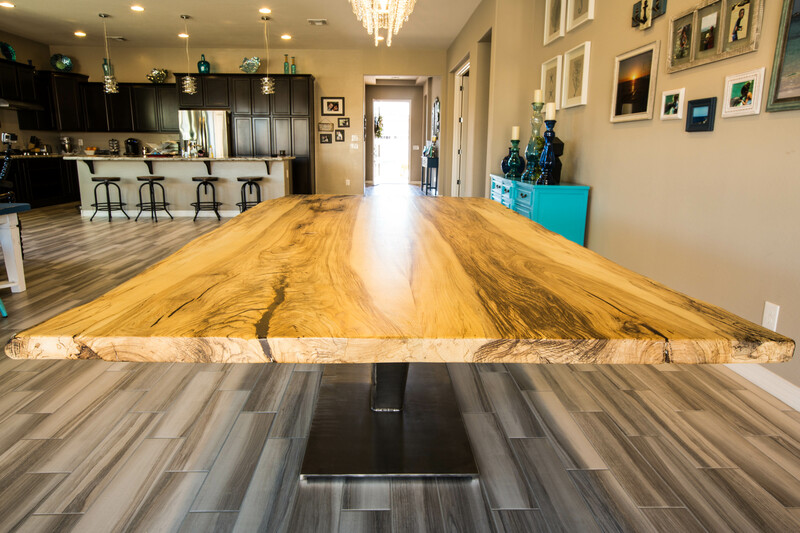 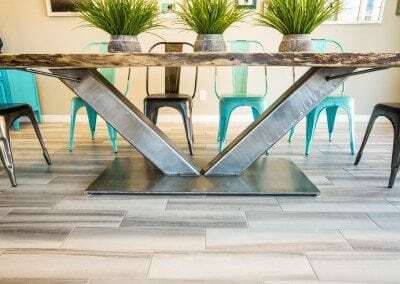 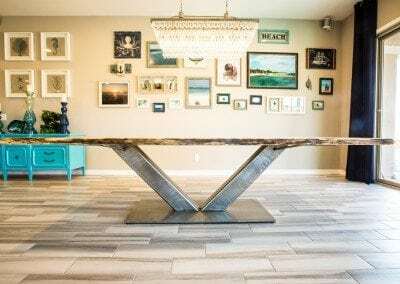 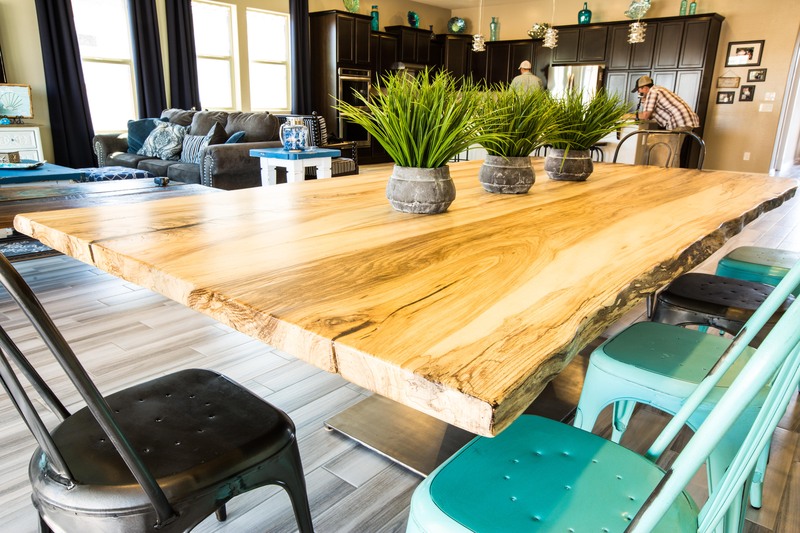 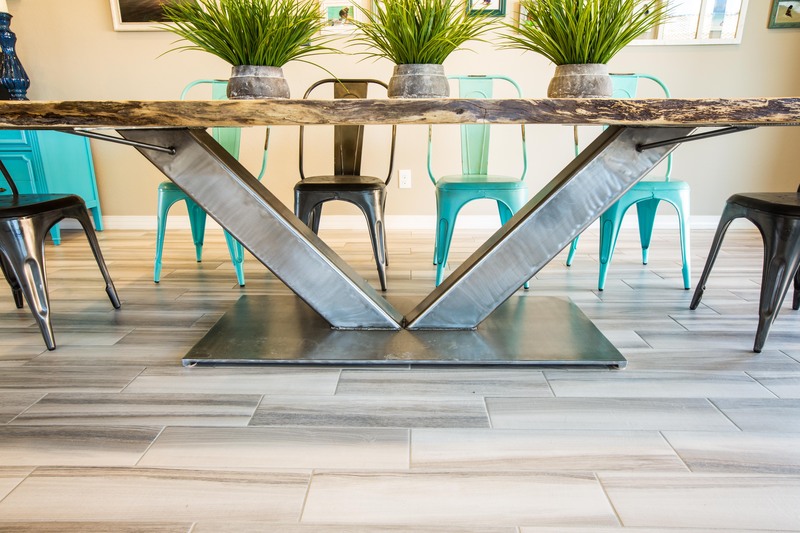 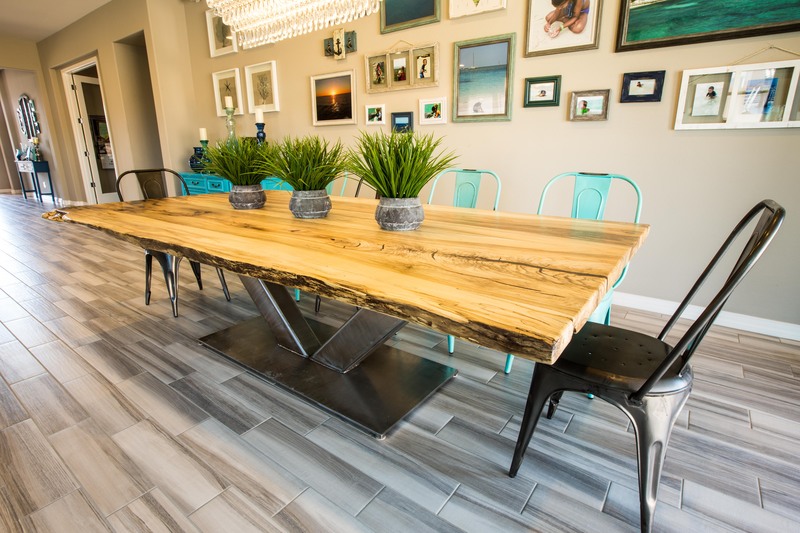 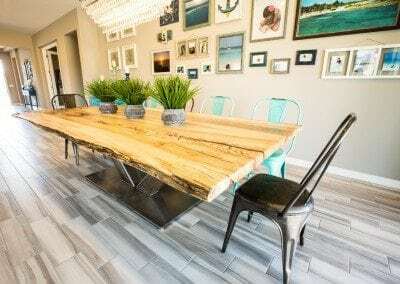 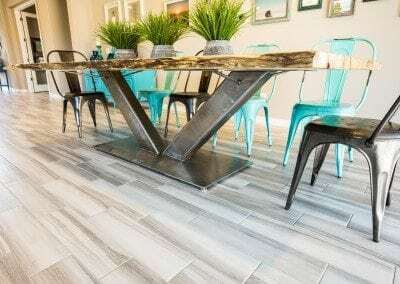 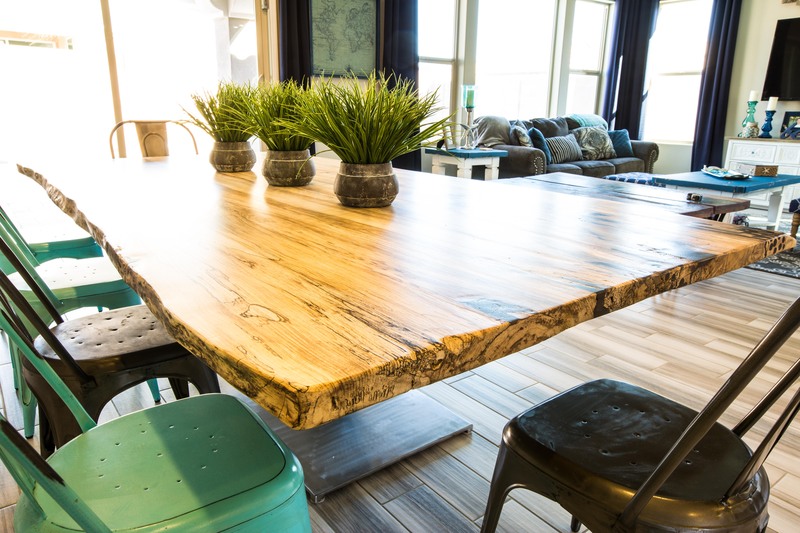 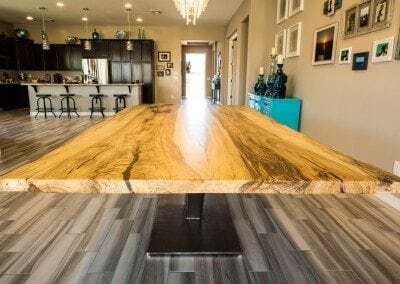 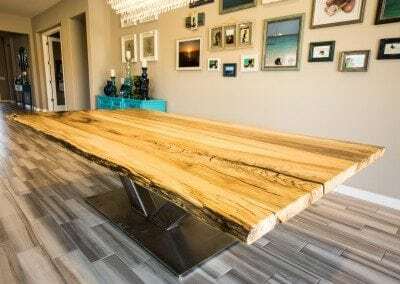 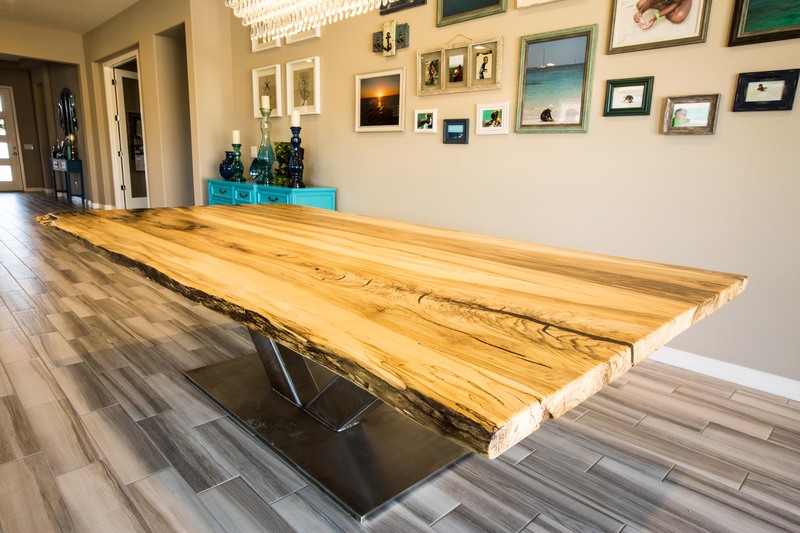 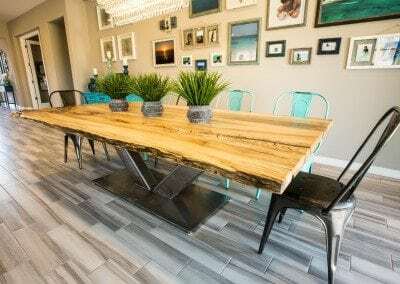 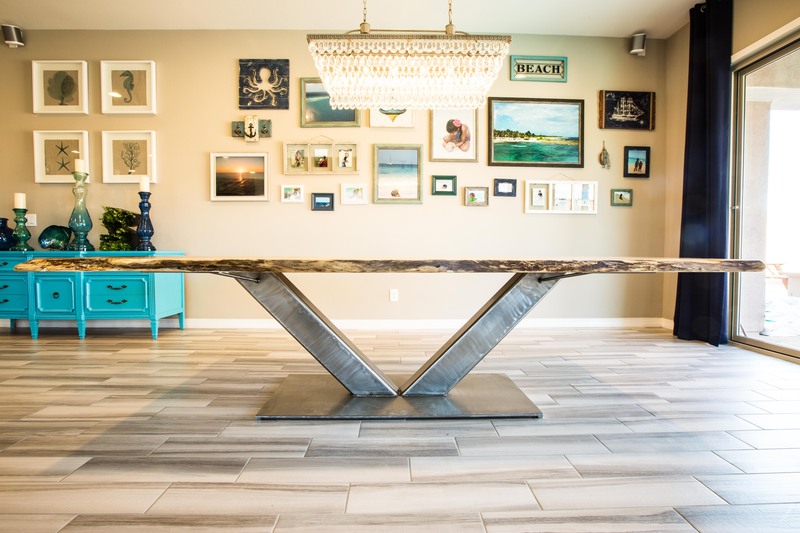 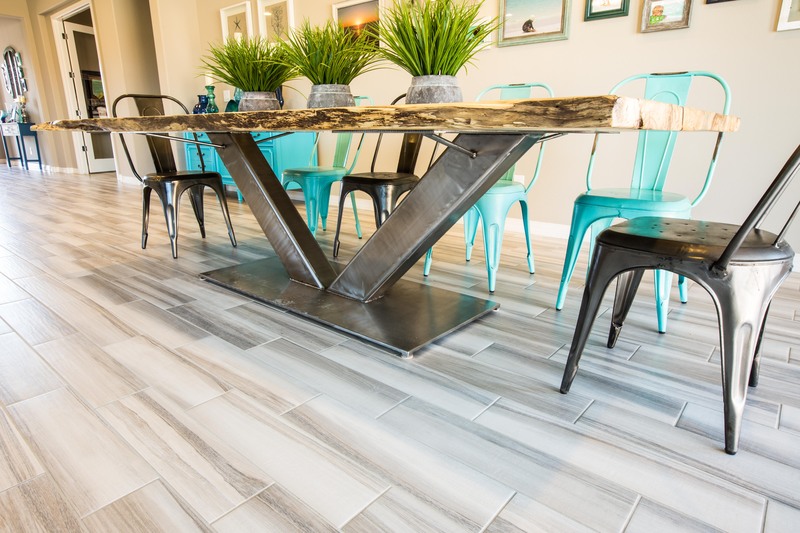 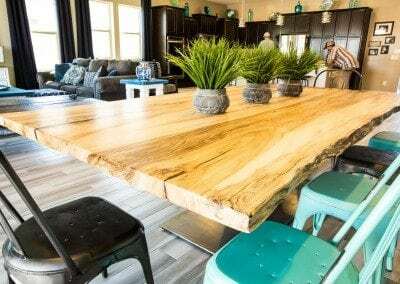 Spalted Hackberry is not your typical everyday wood, and this is no typical everyday table. 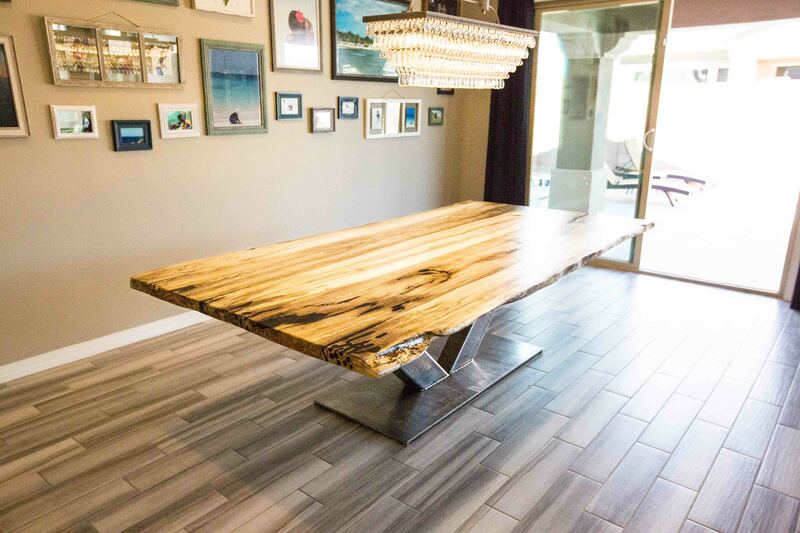 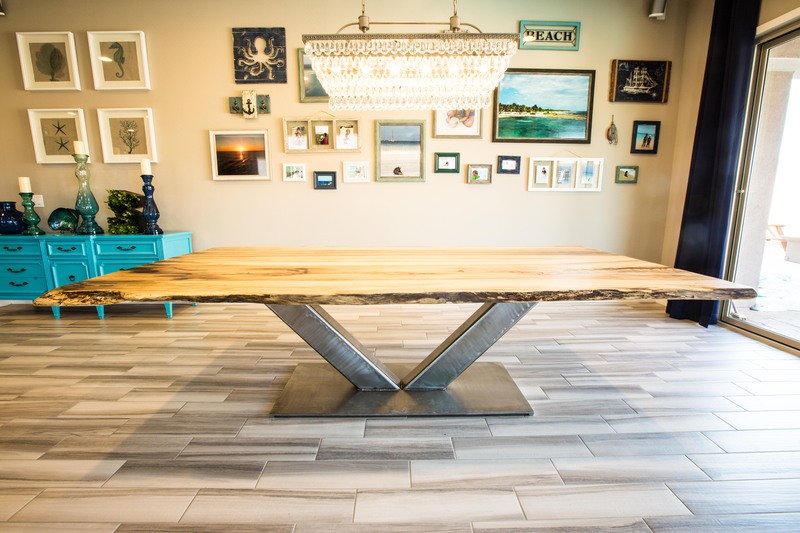 The polished steel metal “V” base supports this massive 5’x10’+ live edge bookmatched top. 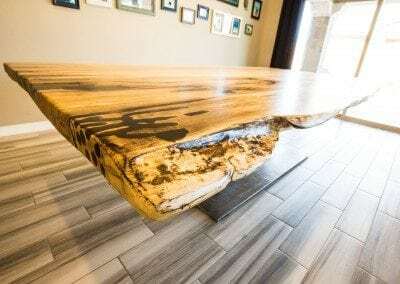 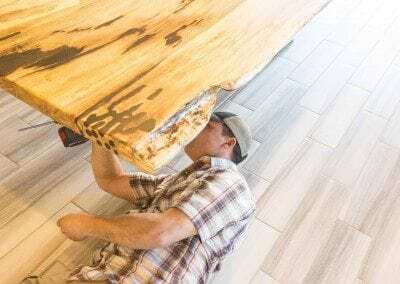 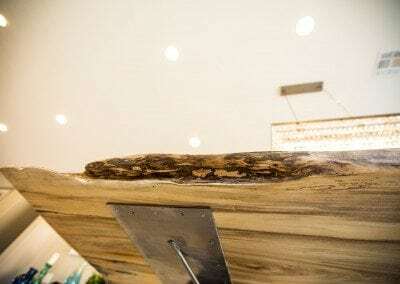 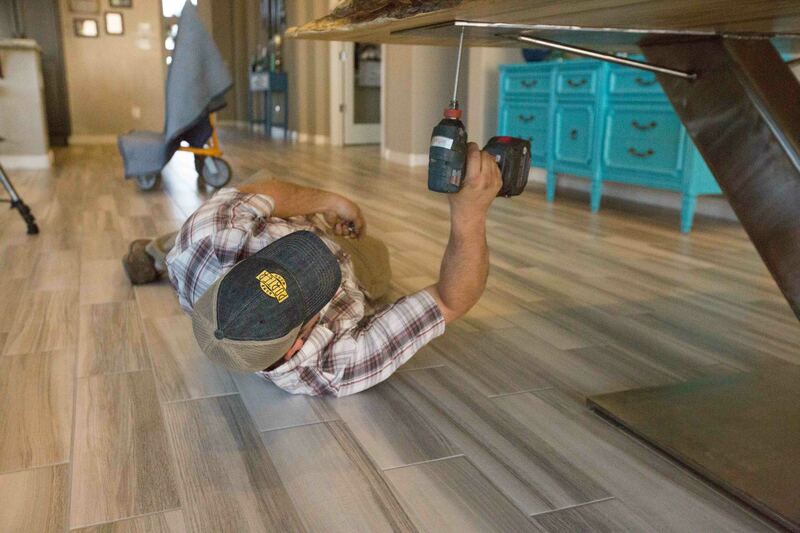 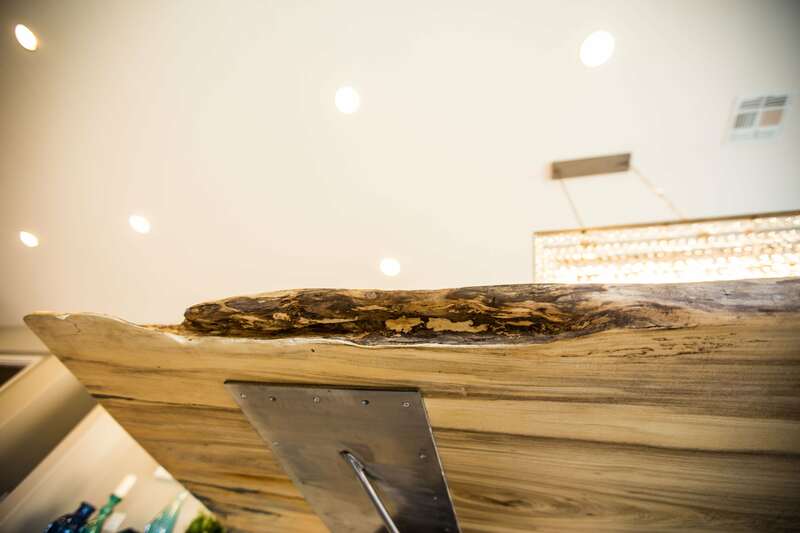 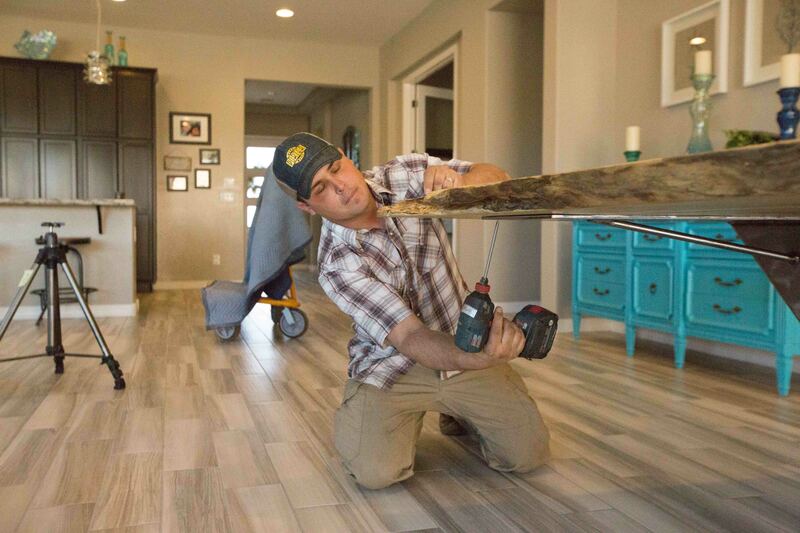 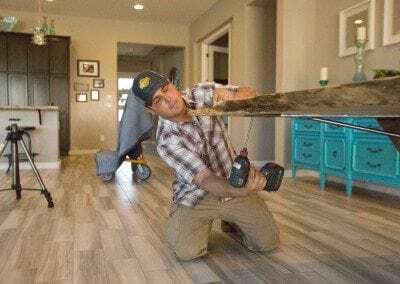 The spalted hackberry live edge slab comes from Pennsylvania and has a flat lacquer finish.